Welcome to the 21 Day Habit Challenge! Complete these steps as soon as you can - ideally before Day 1 of your Challenge. Click on each step below in order. Step 1: Watch this video on how the challenge works! 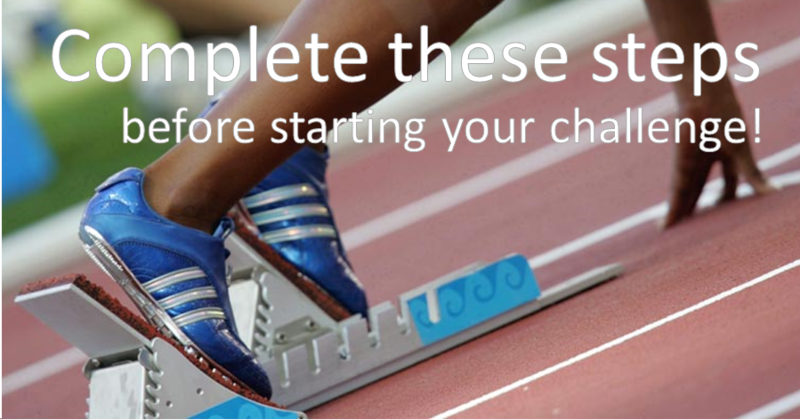 2 points: For each first time challenger who joins because of you! Step 2: Read the "3 Keys to Healthy Weight" article to understand the process for best success. There are three key areas of your life that, when kept in balance, contribute to the achievement of ideal body weight and health. As you are starting the challenge, choose 1-3 habits from the following list that you will commit to implementing throughout the 21 days. Habits always follow a cycle of The Three R’s: REMINDER - ROUTINE - REWARD. This list will help you catch the Reminders and change the Routine, so that you can enjoy the Rewards of a healthier outcome! Only you know the detailed reminders and routines that fit your life, so make sure to fill in the blank where it fits. Once you have chosen your habits, write them down or make sure they are somewhere you will look at DAILY! Step 4: Create your public commitment or "Declaration Post!" Studies show that success rates and follow-through increase when you put your goals out there publicly. So now that you've chosen your habits - post on your personal facebook page that you are committing to making these changes, starting with the next 21 days! Here is some example language you may choose to use, or you can personalize and make it your own. Tip: Posting an image with it will bring more support and encouragement from your friends - an inspirational quote, a before picture, a meme, a selfie, etc. Tag your coach so you can get Prize Points! Hey everyone I just committed to a 21 Day Habit Change Facebook Challenge! I intend to make better choices and lose pounds and inches! I invite you all to follow me along on my journey. I will post my progress results along the way and I'm asking for your support and encouragement. If anybody wants to do this too just message me or my coach. I am ready for this challenge! Step 5: Contact your coach to find your Magic Numbers and personalized gameplan for success!